Now that Max has both trashed the germans and thrashed his juice to some latest top ten hottie tottie we need to get all hoity toity on him again and remind him not just to post pictures of naked women. So, back to the bard. 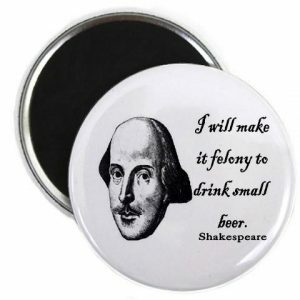 Shakespeare is an excellent source for drinking quotations, not least the line from that wishy washy play ‘Hamlet’ about how ‘We’ll teach you to drink deep ere you depart’, which is what we’d have said to Max had he been able to make it over the pond. Alas, he’ll have to sit at home bashing the bishop’s tipple and crying like wounded Scarus that he still ” has ‘room for six scotches more’!! !